As realists we know that here in the United States we aren’t ever going to outlaw private ownership of guns. But, you might (realistically) think that this Tuesday morning — nearly 3 days after the terrible shooting in Tucson — there would be a steady stream of articles calling for more serious regulation of the guns in this country. There isn’t. Apparently Gun Control is off the table. With my background in programming and maintaining databases I should have known better … but I didn’t. Even with all my knowledge, I thought there was something almost automatic about that database of people who shouldn’t be able to buy guns. As far back as the Gun Control Act of 1968, there have been federal laws against selling weapons to mentally ill individuals. But the Virginia Tech tragedy in 2007, in which the shooter Cho Seung-Hui was able to pass two federal gun background checks even after a state court ruled that he was dangerously mentally ill, highlighted the need for better record-keeping and interagency communication to enforce those laws. (More than 30 people died in the incident.) Saying that unstable individuals are disqualified from buying firearms is meaningless if the national background-check system, the National Instant Criminal Background Check System (NICS), has no record of their illness. That’s why the Brady organization was proud to announce on Friday, just a day before the Tucson shootings, that the number of records of mental illness in the NICS database had more than doubled since Virginia Tech, to more than 1 million records. But there’s a problem with that: there should be more than 2 million records in that database, if all the states cooperated fully. According to the Brady organization’s records, Arizona was not even the worst offender — at least the state ramped up its reporting somewhat in the wake of Virginia Tech. But still, Arizona’s own estimate is that the state has 121,700 records of disqualifying mental illness that should go into the NICS database. From the beginning of 2008 to October 2010, however, it submitted only 4,465 records. Worse than Arizona were states like Louisiana, which submitted only one record during that time frame, and Nebraska and Pennsylvania, which didn’t submit any. In the wake of Saturday’s shooting in Arizona, there are likely to be new polls out this week measuring the public’s support for stricter gun control laws. Until they surface, it is worth noting that support for stricter gun control has significantly dropped over the last couple of decades, and there is little evidence to suggest that major gun crimes change opinions on the issue. The number supporting stricter laws has been gradually declining over the last 20 years. When Gallup first asked the question in 1990, 78 percent favored stricter laws. That was down to 60 percent in 1999, 54 percent in 2004 and 44 percent in 2009 and 2010. The 1999 Columbine shootings and 2007 Virginia Tech shootings appear to have had little, if any, effect on these views. The scary thing? Almost half of us don’t support the national ban on assault weapons!! There is, however, substantially more support for a ban on assault weapons and semiautomatic firearms, like the one used in Saturday’s shootings. In a 2009 Times/CBS News poll, 54 percent of Americans, including about half of respondents who have a gun in their home, said they favored a nationwide assault weapons ban. A Right to Bear Glocks? 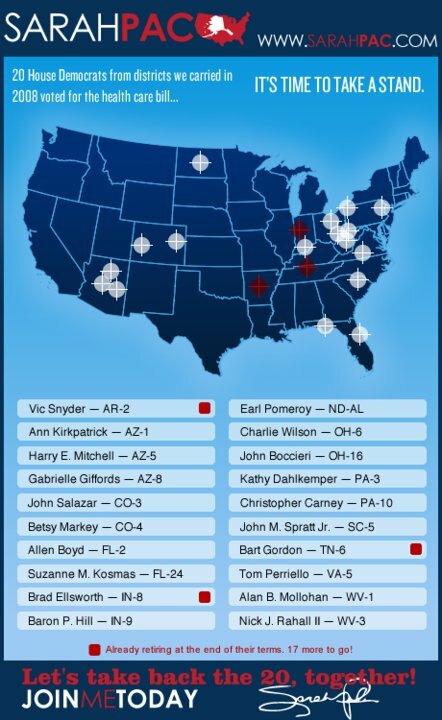 If Loughner had gone to the Safeway carrying a regular pistol, the kind most Americans think of when they think of the right to bear arms, Giffords would probably still have been shot and we would still be having that conversation about whether it was a sane idea to put her Congressional district in the cross hairs of a rifle on the Internet. But we might not have lost a federal judge, a 76-year-old church volunteer, two elderly women, Giffords’s 30-year-old constituent services director and a 9-year-old girl who had recently been elected to the student council at her school and went to the event because she wanted to see how democracy worked. Arizona’s gun laws stand out as among the most permissive in the country. Last year, Arizona became only the third state that does not require a permit to carry a concealed weapon. The state also enacted another measure that allowed workers to take their guns to work, even if their workplaces banned firearms, as long as they kept them in their locked vehicles. In 2009, a law went into effect allowing people with concealed-weapons permits to take their guns into restaurants and bars. Excluding the people killed in the terror attacks of Sept. 11, 2001, more than 150,000 Americans have been murdered since the beginning of the 21st century. This endlessly proliferating parade of death, which does not spare women or children, ought to make our knees go weak. But we never even notice most of the killings. Homicide is white noise in this society. The overwhelming majority of the people who claim to be so outraged by last weekend’s shooting of Representative Gabrielle Giffords and 19 others — six of them fatally — will take absolutely no steps, none whatsoever, to prevent a similar tragedy in the future. And similar tragedies are coming as surely as the sun makes its daily appearance over the eastern horizon because this is an American ritual: the mowing down of the innocents. One veteran Democratic operative, who blames overheated rhetoric for the shooting, said President Barack Obama should carefully but forcefully do what his predecessor did. Notice that there is no concern about the facts, just the political calculation of how to take advantage of an atrocity. BTW – Timothy McVeigh and Terry Nichols WERE associated with the militia movement and anti-government people. Bill Clinton didn’t try to pin the bombing on Bob Dole and the Republicans. Just so we’re clear, I’m not feeling sorry for the Tea Party or Sarah Palin. I think this is bad strategery and will backfire. If the evidence showed that Loughner was a Tea Partying Palinista who was motivated by her target list then I would say go ahead and rub her nose in it. But that is not what the evidence shows. A letter from Congresswoman Gabrielle Giffords found in the safe of the home of accused gunman Jared Loughner thanks him for attending a 2007 “Congress on your Corner” event. It contained Giffords’ name, along with what appeared to be Loughner’s signature. Those facts were contained as part of a federal complaint filed in U.S. District Court that charges Loughner with two counts of murder and three counts of attempted murder at Giffords’ “Congress on your Corner” event on Saturday. Caitie Parker, a former classmate, said Loughner had met Gabrielle Giffords at an event in 2007. He “asked her a question and he told me she was ‘stupid and unintelligent’,” she said. 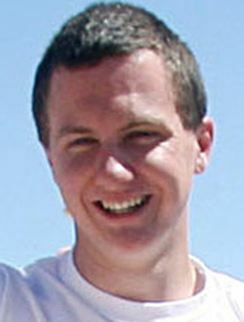 Clarence Dupnik, the Pima County Sheriff, said that Loughner had been in contact with Miss Giffords’s office about the event. From what I have read about paranoid schizophrenia it is not uncommon for them to fixate on someone. It sounds like Loughner may have been fixated on Giffords a year before Sarah Palin ever came on the national scene. Some of the evidence seized from that located included a letter in a safe, addressed to “Mr. Jared Loughney” at 7741 N. Soledad Avenue, from Congresswoman Giffords, on Congressional stationary, dated August 30, 2007, thanking him for attending a “Congress on your Corner” event at the Foothills Mall in Tuscon. Also recovered in the safe was an envelope with handwriting on the envelope stating “I planned ahead,” and “My assassination,” and the name “Giffords,” along with what appears to be Loughner’s signature. Sadly, I expect that this information will make no difference to the people determined to “prove” that yesterday’s tragedy was Sarah Palin’s fault. A few years back here in Merced this guy took off all his clothes and broke into the house of some people he didn’t know. Then he started stabbing the children that lived there with a pitchfork. He killed two children and injured a third before the cops showed up and shot him dead. We have no idea why he did it. He had no history of mental illness and the autopsy revealed no drugs in his system or any brain abnormalities. Some things just don’t have a reason. Yesterday a guy named Jared Lee Loughner took a gun to a political event and started shooting. He killed six people and wounded thirteen others. His victims included a federal judge, a congresswoman and a nine year-old girl. I don’t know why Jared Loughner committed that horrible crime. I doubt we’ll ever really know for sure. It’s one thing to wonder if his motives were connected to political events and rhetoric. It’s another to try to politicize the atrocity even if it means jamming a square peg in a round hole. Absent more evidence I don’t think it’s fair to blame Sarah Palin, Glenn Beck, the Tea Party movement or anyone else except Jared Loughner for what happened. On the other hand, I agree that it would be a good thing if EVERYONE toned down the violent rhetoric and imagery. When Timothy McVeigh was arrested he was wearing a shirt that said “The tree of liberty must be refreshed from time to time with the blood of patriots and tyrants.” I don’t recall anyone blaming Thomas Jefferson. A federal law enforcement official says that a federal judge was fatally shot in the attack on Rep. Gabrielle Giffords of Arizona. UPDATE 3: CNN is showing a Hospital News Conference. Speaker says Congresswoman Giffords is out of surgery – in critical condition – and he is as optimistic as you can get about her chances for recovery. This report did not mention the judge or any other adult deaths. Update 2: CNN has confirmed that Gabrielle Giffords has died. NYTimes still not confirming. Regardless, the casualty rate appears to be high, as many as 6 others dead. CNN now retracting previous report of Giffords’ death. They now say her condition is unclear. The Huffington Post is reporting that 4 people were killed at Giffords’ event and she was among the dead. Note: There are conflicting reports about whether Giffords is dead or in critical condition. On a more ominous note, but possibly unrelated note, Giffords was on Sarah Palin’s list of Representatives to turnover in the 2010 midterms due to her vote for the health care reform bill. There are 19 other representatives on that list. Of course, Palin isn’t the only person who opposes the health care reform act and has called for voters to oust representatives. Let’s not forget that Glenn Beck has a habit of provoking his listeners as well. If Giffords was shot because of something Beck or others have said, we need to immediately call attention to how dangerous it is to be popping off at the mouth without considering the consequences to other people’s physical well being. A congresswoman from Arizona was shot on Saturday along with several others during at public event at a grocery store in Tuscon, according to her spokesman, C.J. Karamargin. The Tucson Citizen reported that Ms. Giffords had been shot at close range in the head. Representative Giffords is a pro-choice, pro-gun control Democrat from the Tucson area of Arizona. She also voted for the stimulus package. It seems clear that she was the target of the shooting even though others were also injured. I would hate to think that a constituent did this. Good thoughts to Giffords and her family. It sounds like she will need all the help she can get. About Gabrielle Giffords’ life, here is the story of her wedding to Commander Mark Kelly from the NYTimes Vows column. Very touching.